Friends of the National Zoo (FONZ) host the annual Brew at the Zoo each summer in Washington, DC. 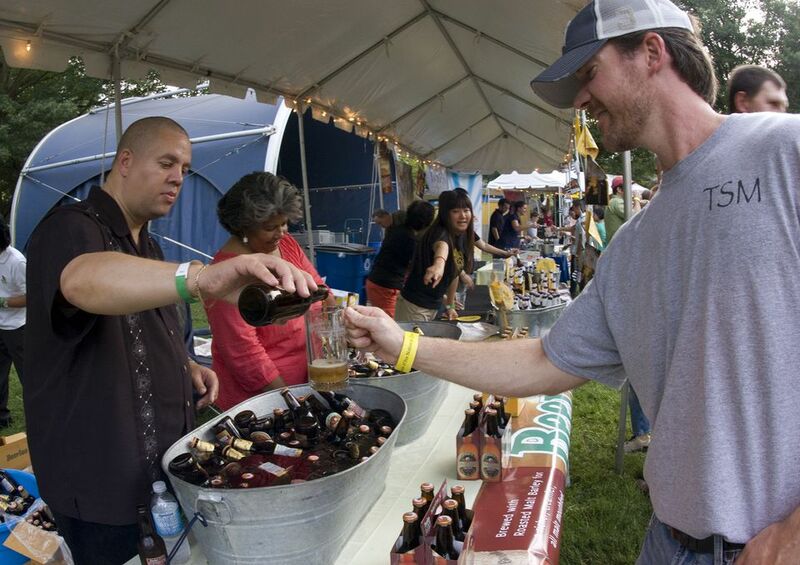 The event brings together more than 60 of the nation's finest microbreweries for beer sampling. Proceeds from the event support animal care, conservation science, education, and sustainability at the National Zoo. While sampling beverages from a wide variety of breweries, attendees enjoy live music and animal demonstrations. Great Cats Circle will be open until 8 p.m., with the lions and tigers out in the yards. Date and Time: July 20, 2017, 6-9 p.m. Brew at the Zoo takes place rain or shine. Location: The National Zoo is located at 3001 Connecticut Ave., NW, Washington, DC. Tickets: Admission includes live music, all beer samples and a commemorative mug. Sober driver tickets are also available. Food may be purchased from restaurant concessions. To purchase tickets, visit nationalzoo.si.edu/activitiesandevents/celebrations/brew. This is an adults only event and you must be 21-years-old to attend. A valid ID is required for admission. Babies and children will not be admitted.